I passed my motorbike test on August 23 this year, it took 10 weeks exactly from start to finish. I was so excited about being able to get out and about on the road and I had been researching bikes for weeks. 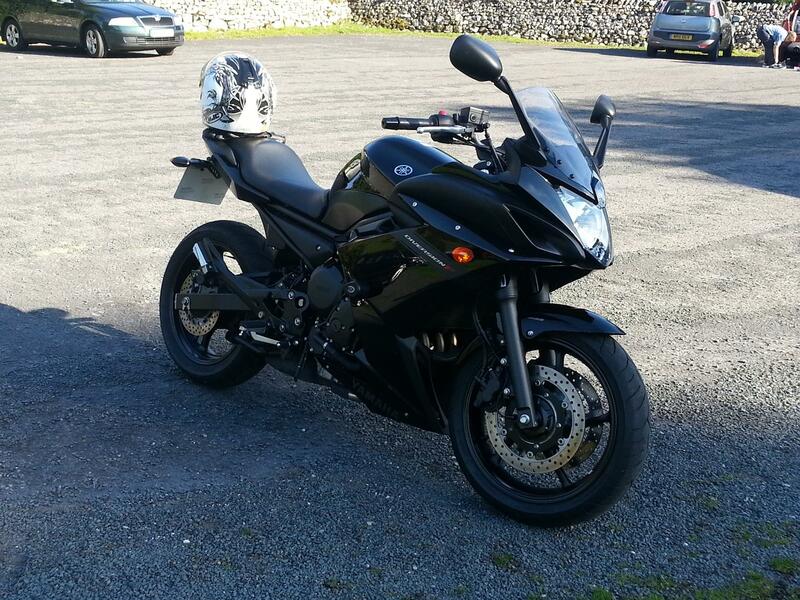 I narrowed it down to a Suzuki GSX650F but when I went to see the bike at a local showroom I saw the Yamaha XJ6 Diversion F and it really caught my eye, especially as it is the one with the full fairing. I had a ride on this too and as soon as I got on it I knew that this was the bike for me. It's quite light for a 600 which is ideal for a first timer, probably not as quick as some but definitely enough power for whenever you need it. I bought the bike three days after passing my test and so far I have covered 600 miles and have had a lot of fun. Roll on next spring! Good: Perfect size and positioning (for me) for a first bike, plenty of power to have fun with, looks the part too! Bad: I honestly cannot think of anything, especially if it is a first bike.